Jorge Bendersky’s book is informative, fun, and has helped me become an even better pet owner! how to properly care for them. Over the years, I have followed celebrity dog groomer, Jorge Bendersky on the internet and viewed his various TV segments. His work intrigues me and he is very knowledgable in the dog grooming field. He always shares wonderful tips and advice on how to bring out the full potential in your dog. When I heard about his new book, “DIY Dog Grooming, From Puppy Cuts to Best in Show,” I purchased my copy right away. I’m so happy I did. This book is a MUST HAVE for ALL pet owners! Throughout the book, Bendersky brings to light the importance of dog grooming. It’s important for us to understand that grooming helps to maintain health and could potentially detect health problems too. The details and photos in this book are very informative and helpful in explaining the grooming process. I work with various dogs on a daily basis; however, this book clearly explains how to go above and beyond to care for all types of dogs regardless of breed, age, or temperament. After reading this, I found myself informing others about what I have learned. I gave advice to friend and family members who are pet owners. I also shared helpful tips to those working/volunteering at the shelter, and I preached the importance of grooming to my dog walking clients. Of course, I recommended Bendersky’s book to everyone! This book also reminds pet owners that grooming can bring you and your pooch together. Who wouldn’t want that? It has motivated me to provide even better care to all the pets in my life and spread the word to others, too! Jorge Bendersky’s book gets two thumbs up from me and my furry friends! 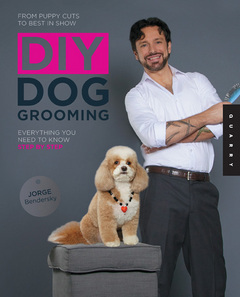 This entry was posted in Book Review and tagged book review, DIY dog grooming, dog groomer, dog grooming book, Jorge Bendersky on February 12, 2014 by Rebecca Symon. birthday. Carole does an amazing job expressing her pain and heartbreak after learning her son was different and would soon be set free to fly. kids who are grieving the loss of a loved one too. perspective and will allow them to find some peace. they too learn about acceptance and feeling perfect just the way they are. 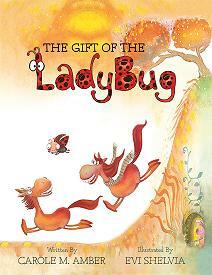 This entry was posted in Book Review and tagged animal books, Carole Amber, children's book, grieving books, The gift of the ladybug on January 7, 2014 by Rebecca Symon.